It doesn’t matter whether you are a blogger, freelance writer, professional writer, or a student; you can always benefit by elevating your content writing skills. The quality of your content usually suffers when you produce great quantity. Professional writers have discovered a few strategies that enable them to avoid that trap. The following tips and tools will help you produce a steady stream of great content. 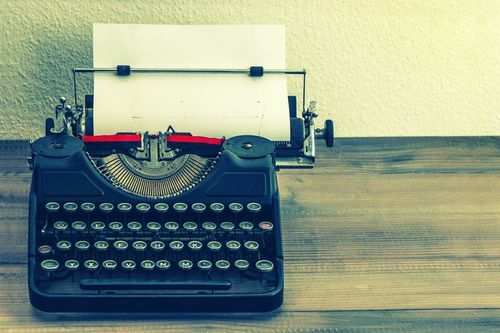 Image Source: Retro Typewriter via Shutterstock. The first thing we should learn from professional writers is to preserve the research mode throughout the entire writing and editing process. Many content writers make the same mistake: they conduct a basic research and use those sources without bothering to get new ideas along the way. Creativity is an ongoing journey; you cannot limit it to a certain stage. Pocket – When you find an interesting online source you could use, but don’t have the time to read it, you can put it in Pocket – an app that enables you to save and organize articles, videos, and other types of online content directly from your browser. The best part is that you don’t even need an Internet connection to read these materials when you’re ready for them. Google Trends – Throughout the research and writing stage, you need to keep track of the popular keywords that are trending in Google search. This is a simple, but powerful tool that will help you create search-friendly content. Google+ – If you don’t want to be distracted by fancy tools and apps when conducting a research, Google+ can serve just as well. All you need to do is create an empty circle named “research”, “sources”, “ideas”, or anything else that will help you identify it. Then, use it to keep track of the online sources you would like to use in your content. WordCounter – When you plan the development of your article, you should include a word count goal. Then, use this tool to see if you went overboard with unnecessary arguments. WordCounter is much more than a word and character counter; it also identifies repetitive words and phrases that are diluting your message. Piktochart – The best way to present focused content with clear facts is to create an infographic. You don’t need advanced skills to do that; Piktochart is an awesome tool that helps you create data-driven content from scratch. All you need to do is pick a template and customize it with unique images and content. Image Source: Writing Notes via Shutterstock. The creative process of writing can become messy sometimes. You get more ideas than you could possibly include in the piece you’re creating. In addition, you have to think about time management if you want to get the work done on time. Evernote – This app enables you to save any ideas, documents, or online sources into organized folders and tags. You can create a separate folder for each writing project and find the memos whenever you decide to go back to it. IFTTT – If you use different apps and websites during the writing process, you can keep them under control with a single tool – IFTTT. The name of this tool is an abbreviation of “If This Then That”, which correctly explains how it functions. For example, if you save an article in Pocket, you can program the app to automatically save in Dropbox or Evernote as well. Although you have to keep track on the trends your target audience is interested in, no one would like to read the same information over and over again. Do not copy other bloggers and writers. You should make your content recognizable with your unique style and personality. Explore the style of your favorite writers. That doesn’t mean you should copy it; only take it as an inspiration and example of how great content should look like. Be studious about your own work. Are you presenting something new to your readers? Are you conveying a clear message that triggers a discussion? Is your article structured properly? Make sure to give affirmative answers to these questions. Image Source: Writing In the Park via Shutterstock. 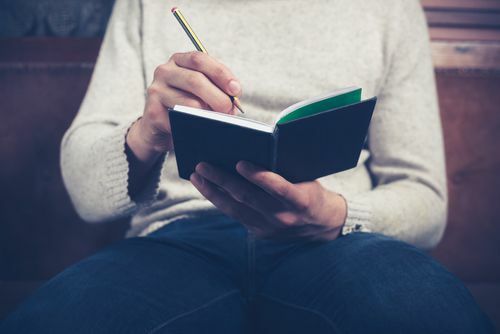 Sure, you can write about something your readers are already familiar with, but you need to elaborate the topic from a specific point of view. If you follow someone else’s lead, your readers can easily find the content contradictory to another article you’ve published. If you cannot find a creative angle, then it would be wise to leave that topic for later and find something more inspiring to write about. Digg – This website is much more than a source of quick, fun reads; it’s also a well-curated feed of the stories and news that are gaining attention on the Internet. The daily email newsletter will help you get fresh information you can include in your articles. Make the sentences, words, and paragraphs short and readable. Complex style won’t get you with a large base of loyal readers. If you get carried away, make sure to cut the clutter during the editing stage. Yes, editing is necessary! The first draft is never a masterpiece! Now that you have a selection of effective ways that can turn you into a better content writer, you only need to stay committed to your practice!